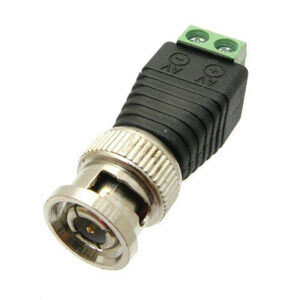 This is a simple terminal block to BNC connector which can be used to connect your CCTV Cameras using Cat5 cable. Simply use one of the twisted pairs inside the cat5 cable and you can connect them into the terminal blocks using a small screw driver (not included). Please note we advise using these connectors on short cable runs only, ideal under 10 metres.